Just because the warmer weather’s here doesn’t mean you should let your guard down when you drive. While winter brings snow and ice, spring brings its own unique challenges that require extra precautions. To help you drive safely this spring, follow these driving tips from Omar Yunes. Service your vehicle. Inspect your vehicle to insure it’s in tip-top shape for spring driving. Check your tires for signs of wear, and insure they are properly inflated. Also check the washer fluid, radiator fluid, transmission fluid, power steering fluid, brake fluid and air conditioning coolant levels and refill them as needed. It rains quite often during the spring and summer, so test your windshield wipers to ensure they are working properly. Be on the lookout. Pedestrians, cyclists and other motorists tend to come out more in the nice weather. Be mindful of others on the road, and also keep an eye out for children playing outside in school zones and residential areas. Additionally, many animals come out of hibernation in the spring, so be on the lookout for those in the road or crossing the street. Drive extra cautiously in the rain. It rains often in the spring and summer. If you’re on the road when it rains, drive slower than usual and maintain a greater distance between other vehicles. Allow yourself more time to decelerate, accelerate, stop, brake or turn. In the event that your vehicle hydroplanes, remain calm and know how to react. Do not slam on the brakes; instead, lightly apply pressure on the brakes and turn into the direction in which you are sliding. Avoid big puddles. Avoid driving through large puddles, as splashing water may affect your brakes, causing you to skid. It can also impair the vision of other motorists and cause them to swerve or brake. 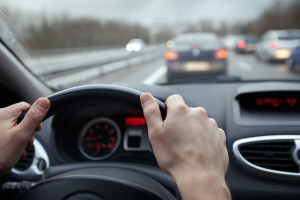 Keep these safe driving tips in mind the next time you hit the road. Practicing these tips is not only important for your own safety, but also for others on the road. The goal of every public speaker is to captivate their audience. But, while that’s a skill that takes time to master, there are some simple ways you can improve your public speaking skills right now. Omar Yunes reveals his top public speaking tips that can help you take your presentation skills to the next level. Provide value to your audience. 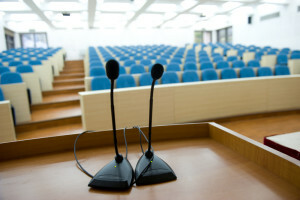 Don’t use a public speaking opportunity to overtly promote your business or gain new clients. Instead of thinking how the speaking engagement can benefit you, think about how it can benefit your audience. When creating your speech, you should focus on how your audience will benefit from what you’re saying and how your presentation will help them improve their personal or professional lives. Don’t defer the audience’s questions. If someone asks a question during the middle of your speech, that’s a good sign. It means they’re listening. Unless you’re going to address their question in the next slide, don’t defer it. The best speeches feel conversational, and responding to the question right then and there will keep your audience engaged. Share a personal story. Sharing a personal story is a great way to tap into your audience’s emotions, make yourself appear more relatable, and develop a strong, lasting connection with the audience. When you tell your story, share how you genuinely felt, whether you felt sad or remorseful. Revealing a personal story that relates to your overall message is will allow you to establish an immediate connection with your listeners. Keep it short. Always keep your speech shorter that the time you were allotted. For instance, if you were given an hour, take 50 minutes. This ensures you won’t go over the allotted time if your speech takes an unexpected turn, and also provides time at the end for you to address the audience’s questions. With these tips from Omar Yunes, you can instantly improve your public speaking skills.